What is the Hoselton Advantage Warranty? 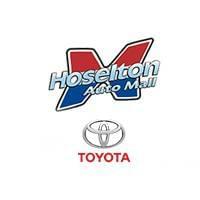 Every new vehicle purchased at Hoselton Toyota comes with the Hoselton Advantage Warranty! This exclusive program includes a 10 year/100,000 mile powertrain warranty, a no/low-cost maintenance plan, 24-hour roadside assistance and 10 years of New York State inspections. It’s just one of the many reasons you should buy from Hoselton Toyota, Rochester’s oldest family-owned and operated dealership. We’ve been proudly serving the Rochester, NY area since 1920! *The Hoselton Advantage Warranty is available on new vehicle purchases only; leases excludes. Subject to $200 deductible. Valid on personal use vehicles only, not valid for commercial vehicles, business use or plow trucks. Prior sales excluded. See dealer for details. An Amazing Value Included with Your Purchase! The Hoselton Advantage adds more than $1,845 in value to your new vehicle purchase. Each vehicle comes with a low-cost maintenance plan. Toyota is devoted to safety and dependability, and proper vehicle maintenance is important to both. That’s why we include a no-cost maintenance plan with the purchase or lease of every new Toyota for two years or 25,000 miles, whichever comes first. Roadside assistance is also included for two years, regardless of mileage. ToyotaCare features 24-hour roadside assistance for those days when you need a tire changed, or a door unlocked. *Covers normal factory scheduled service for 2 years or 25,000 miles, whichever comes first. See Toyota dealer for details and exclusions. Valid only in the continental U.S. and Alaska. Roadside assistance does not include parts and fluids, except emergency fuel delivery. Prius Plug-in Hybrid comes with an additional year of roadside assistance, for a total of 3 years from date of first use.